Kris Aquino, "triggered" to run for public office? 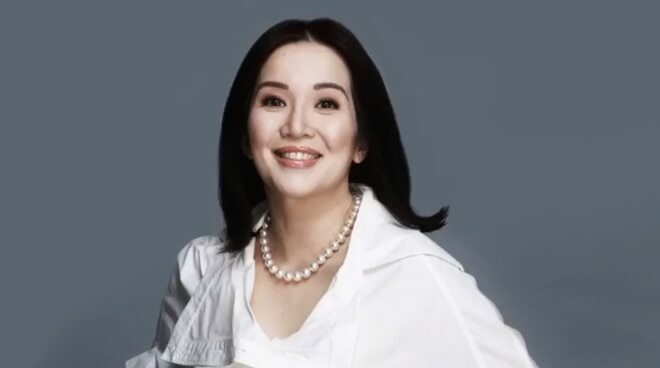 After lambasting a netizen who is said to be spreading fake news about her candidacy online, 'Queen of All Media' Kris Aquino seems to have been triggered to take on the challenge. In a lengthy post in her social media page, Kris addressed her "fake news purveyors" by giving them a lesson in history and good governance, while throwing a fierce shade. "This is just TRUTH for all those fake news purveyors. We had English grammar earlier now it’s time for history: my dad was imprisoned during Martial Law when i was 19 months old. Before i was 7 years old i was campaigning for him, in grainy videos or if you search the New York Times, Time magazine etc from 1978 i have pictures w/ Tito Nene Pimentel (Senate President Koko’s father) holding me steady on a chair or carrying me so i could reach the microphone- i believe the documentary Batas Militar has footage of 6-7 year old me saying speeches. I am a straight talker, because i’ve had 40 years of experience in speaking at political rallies, and i did that when there was no freedom of speech & no freedom of the press. "So i very RESPECTFULLY implore you- pabayaan nyo po akong magtrabaho ng tahimik at payapa. "Check my feed, both on IG & FB, even what we mirror on twitter- i haven’t engaged in political discourse BY CHOICE. "That doesn’t mean i don’t care about our country, i am a mother & a stakeholder in our future. You must know i VERIFY my FACTS before i post, in 10 years 2007-2016 to be exact i have paid P361,798,667.75 in income tax to the Philippine government. "This doesn’t make me a better Filipino than others- but it does prove that i am a RESPONSIBLE citizen. I asked for a 10 year time period to be researched because that is Bimb’s age & it actually covers 3 administrations. "What’s my point? Public service = TRUST. I won’t & can’t capitalize on my last name. Because i could never be as HUMBLE & SIMPLE as my mom & my brother. Talo na ko sa comparison. "So breathe easy all those fuming at the thought of my name on that ballot. I need to first become a self-made, entrepreneurial SUCCESS. "Because at the end of the day we deserve a leader who will give us stable economic growth, and a fair chance for everybody to live in a prosperous environment. "Fake News peeps - you challenged me. I’m now going to work so much harder to make your No to Aquino irrelevant because it will be a Yes to KRIS." Addressing her millenial followers who may not know the song she mentioned in her previous post, she then sealed her post with a video slide of her photos and some quotes whose background music is Culture Club's Karma Chameleon.